If you want to train as an ICAEW accountant, Malaysia is one of the four countries apart from the UK where you can do so. Chin Kwai Fatt, Johan Raslan, V.U Kumar and Sridharan Nair are amongst the PwC partners in Malaysia who have been admitted to the ICAEW. Mr Gerald Russell, President of the ICAEW, could you ask the member known as Kwai Fatt, Chin to make a report to the MCMC (Malaysian Communications and Multimedia Commission) or the Royal Malaysian Police Force, on this blog, please? 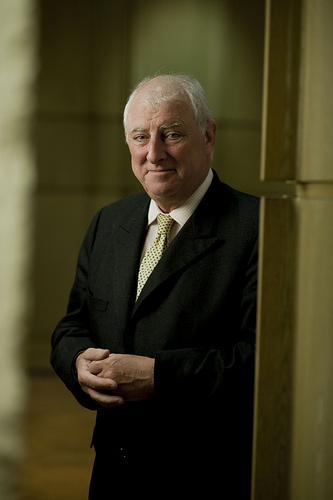 The ICAEW's Code of Ethics is regarded so highly that it was used as a model for the International Ethics Standards Board of Accountants in 2009. But is the ICAEW so beholden to PwC Malaysia, that it will throw a cloth over the Code of Ethics back in the UK, whenever it casts its eye on it's members in Malaysia? "ICAEW believes that integrity is fundamental to ethical behaviour. Ethical behaviour is not just a matter of concern and media debate but of crucial importance to individuals, organisations and markets." How does the ICAEW view the following acts? Do these acts exhibit the highest standards of integrity, or plain old fraud? The sale of the consulting business to IBM Corp., was to include all ongoing businesses, assets and liabilities. But in Malaysia, what has happened is that the ongoing businesses at that time, as well as the assets were sold as part of the company renamed as PwC Consulting Malaysia Sdn Bhd (289801-A), under sham Directors, while the contingent liabilities to the tune of several hundred million Ringgit were kept hidden in the real company that handled the consulting business, PricewaterhouseCoopers Consulting Sdn Bhd (464379-U). PricewaterhouseCoopers Consulting Sdn Bhd (464379-U), is a company that still exists, and has the Executive Director of PwC Malaysia, Dato Johan Raslan (member of ICAEW), The MD of PwC Malaysia, Mr Chin Kwai Fatt (member of ICAEW), the Tax Partner of PwC Malaysia, Mr Koo Chuan Keat , and Senior Partner in PwC Malaysia, Mr Lee Tuck Heng as the Directors and/or shareholders till today." "Ethical behaviour in business is something that the ICAEW considers to be of critical importance as a general issue to maintain confidence in markets." Mr Gerald Russell, will you consider the following acts by the members of your Institute, namely Chin Kwai Fatt and Johan Raslan, as sound business ethics? "PricewaterhouseCoopers Consulting (East Asia) Sdn Bhd was renamed as PwC Consulting Malaysia Sdn Bhd (289801-A) on 20-11-2001, to be disposed off to IBM Corp. This happened while the real consulting arm of PwC in Malaysia, PricewaterhouseCoopers Consulting Sdn Bhd (464379-U), still remains under the ownership of the current Directors of PwC Malaysia. Ms Chu Kum Yoon, a Company Secretary, was appointed a a Director in PwC Consulting Malaysia Sdn Bhd (289801-A). Ms Chu Kum Yoon, has never played a role in the Consulting business of PwC. Her appointment, and that of Mr Foong Weng Chee were sham appointments. 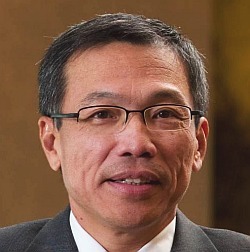 As for Mr Foong Weng Chee, he was at that time, and still is, running his own accounting firm, Foong Weng Chee & Co. Mr Foong Weng Chee has also never played a role in the consulting business of PwC"
Chin Kwai Fatt, MD of PwC Malaysia, member of the ICAEW. Somebody but him a pen so he can lodge a report against us, please. ICAEW Code of Ethics. The Institute's Code of Ethics (the Code) applies to all members, students, affiliates, employees of member firms and, where applicable, member firms, in all of their professional and business activities, whether remunerated or voluntary. 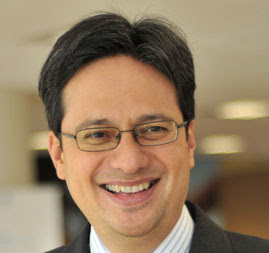 Johan Raslan, Executive Chairman of PwC Malaysia and member of the ICAEW. What Code of Ethics?? What does the ICAEW Code of Ethics say about signing false declarations? We are not sure, but we are very sure about what the Malaysian Penal Code has to say on that. "Chin Kwai Fatt (member of the ICAEW) signed in 2008 that the firm of PricewaterhouseCoopers Consulting Sdn Bhd (464379-U), at the date of the signing is able to meet its liabilities as and when they fall due. There was no disclosure made in the submissions signed by Chin Kwai Fatt(member of the ICAEW) of the several hundred million Ringgit in contingent liabilities that PricewaterhouseCoopers Consulting Sdn Bhd (464379-U) has. In the sworn statement by Dato Johan Raslan (member of the ICAEW), the current Chairman of PwC in Malaysia, that we received from our sources, it is stated that the Court of Appeal finds that the claims made against PricewaterhouseCoopers Consulting Sdn Bhd (464379-U) could not be said to be manifestly unsustainable. Chin Kwai Fatt (member of the ICAEW), the MD of PwC Malaysia, as the signatory knew of this from day 1, yet not only did he sign the declaration, he also did not ensure that the contingent liabilities were disclosed as required." Mr V.U Kumar, Senior Partner of PwC Malaysia and member of the ICAEW. Also member of the Malaysian Institute of Accountants Investigation Committee. We hope that the ICAEW's disciplinary committees are less coy when it comes to investigating its members from PwC Malaysia. ‘In the public interest’ is a phrase used by politicians, regulators and others to justify all manner of actions, inactions and policy proposals~ICAEW’s review of ‘the public interest': matters to be considered in its application"
Is it in the public interest to investigate the allegations against the members of the ICAEW, who also happen to be senior partners in PwC Malaysia, Mr Gerald Russell? 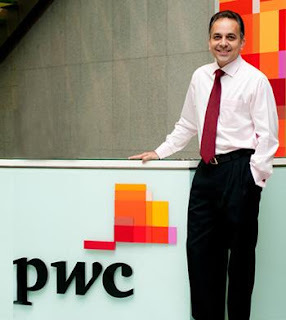 Mr Sridharan Nair, the New Kid on the Block, Senior Partner of PwC Malaysia, and member of the ICAEW.